A groundbreaking strength and conditioning plan for women, from the authors of The New Rules of Lifting for Women. Schuler and Cosgrove’s The New Rules of Lifting for Women has empowered tens of thousands of women inside and outside the weight room. 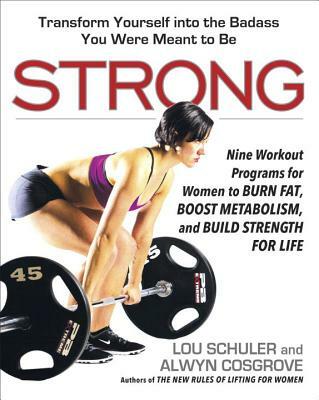 Filled with the latest research distilled in Lou and Alwyn’s signature direct style, Strong will help women remake their physiques and reimagine their lives. Alwyn Cosgrove is co-owner, with his wife, Rachel, of Results Fitness in Newhall, California. He is a professional member of the National Academy of Sports Medicine and the American College of Sports Medicine, among other organizations, and is a frequent contributor to a variety of magazines, including Men’s Health and Men’s Fitness.